This oval shaped glass jar features an airtight clip top for keeping contents fresh. 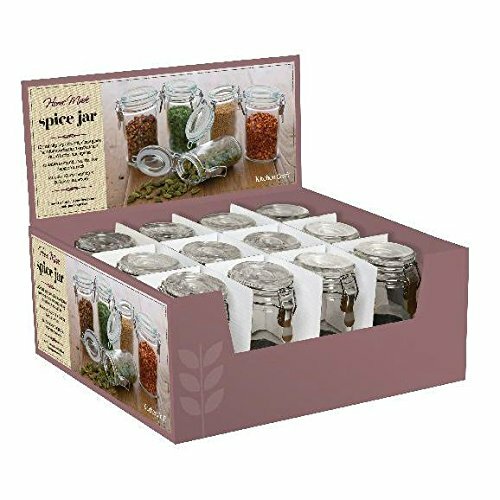 Ideal for storing and organising dried herbs and spices. Suitable to stand on a shelf or hang on a rack, with contents clearly visible through the clear glass. 10cm height 3.5cm diameter This listing is for a singal jar.